It's Digi Choosday time - and there's a new challenge launching right now! Head over to see the rules, challenge and fabulous DT inspiration. 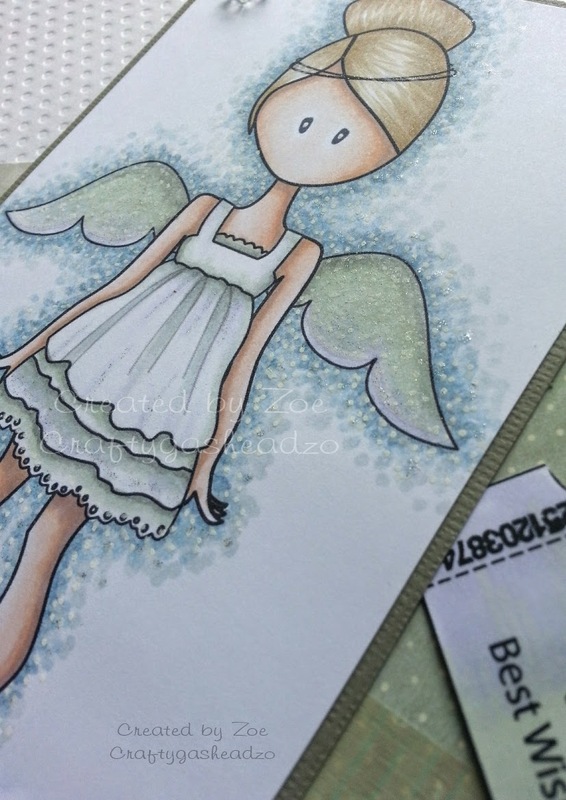 I tried something new this week for our wing challenge, I used the fab Envelope template from Dutch Doobadoo to create a shape on the front of my embossed card which I covered with papers. 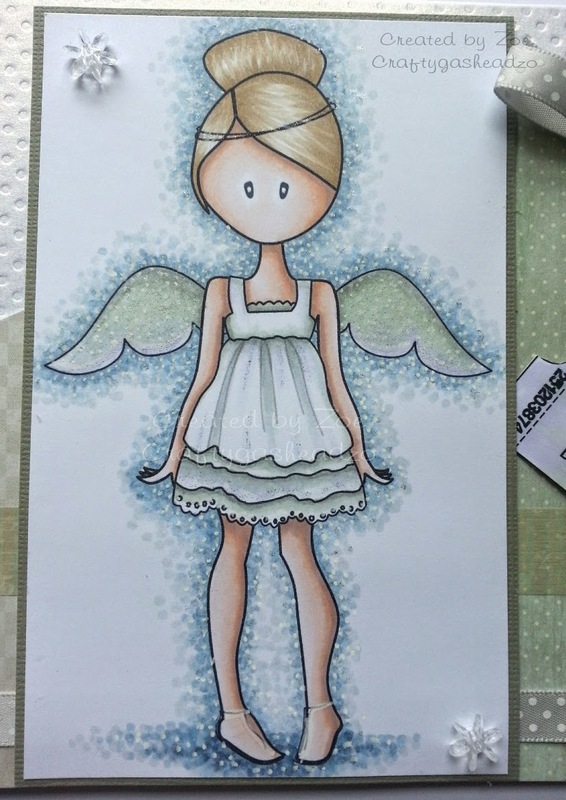 I coloured the gorgeous Angel character from Emma Canning using my Graph It's - I used Cool Greys for the dot background and then I used Green Greys on the main image, just shows how versatile they are cos I think they look pretty! I added hearts from Doobadoo, gems, washi tape, flowers and ribbon from my stash. Who would've thought greys could look so pretty?! I also added the superb Graph It white pen and silver shake pens to this image. Am really pleased with the softness of this. Just so beautiful and I love the stipple effect around the image. 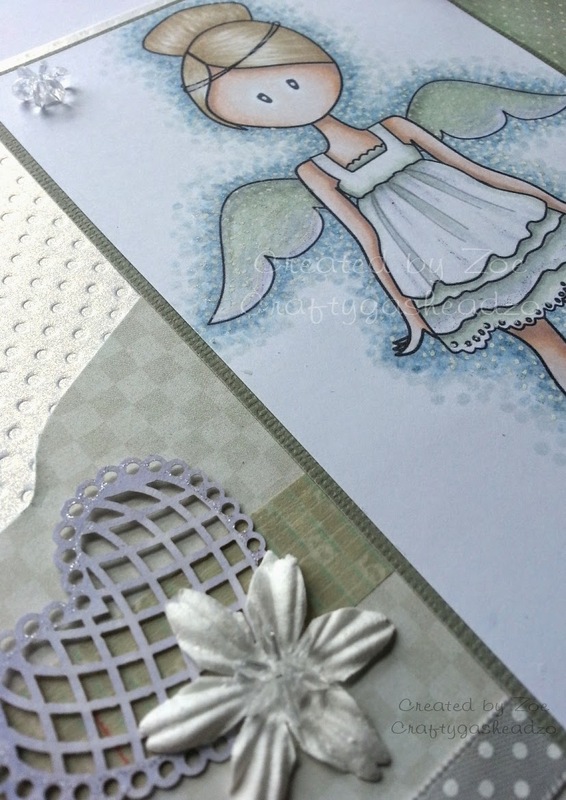 beautiful card Zoe, lovely image and your colouring is fab, i love those greys! What a Beautiful stamp!! I have never seen it before!! Lovely soft coloring!! Great Background too!! Lovely Card! !